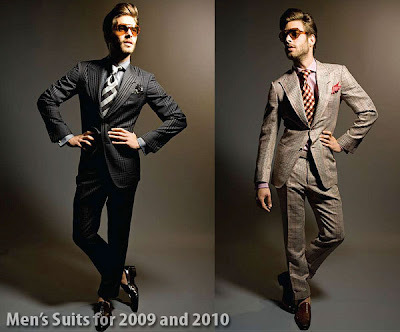 While suiting and formal-wear trends for men aren't seasonal and play out over several years, 2010 shall mark a distinct change in the direction of men's suiting. It comes down to a combination of factors but the likes of the economic downturn, the end of the 'manorexic' era, and women's 1920's and 1930's revivals will all play a big part. But make no mistake: it's the first and last that will be the biggest influence, as well-groomed men look for investment fashion pieces and turn to the classics for inspiration.